An ideal travel companion during hunting season but always can deliver the performance you need anywhere, anytime. 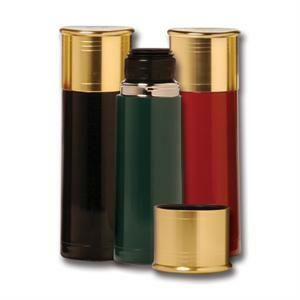 Rugged, rustproof beverage insulator with double wall 18-8 stainless steel construction and wide tip-proof base. Features unique one-touch open/close stopper for easy pouring or closing. If the cap breaks please let us know and we will get you another one.